I had a very experienced body guy at my house (mostly experienced with Porsche's), and he commented that there should be a type of sealant to bond the underside sheet metal surround to the flat side of the hood...easier to explain with the attached photo. I've done several early 911s, and don't recall any of them having a sealant to fill this gap...thoughts please. Thank you. porsche doesn't use a seam sealer on that seam. Thank you for the prompt reply - I know from you it is the definitive word! the only place you would see seam sealer on the underside of a porsche hood is here. they started doing this on the later hoods. in no way does seam sealer get used all the way around the hoods frame to the hoods skin. 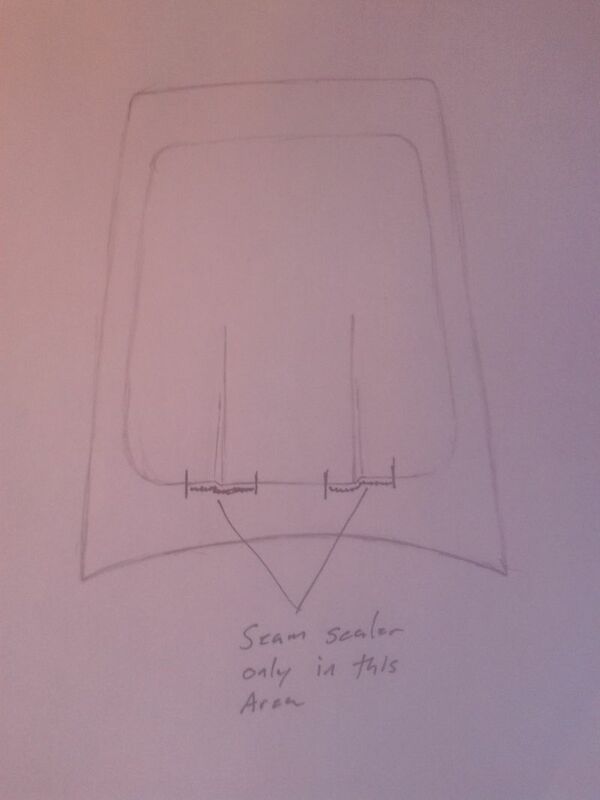 Thank you...when you say later hoods, any reason I can't leave it 'as is' (no sealer) on this 72 hood - or is there value added in adding it where you show on the diagram? Ready to send everything off for finish paint so now would be the time. Regular brush on/tube common seam sealer or something more high tech? Thank you. they used it on the later hoods to stop the oil can effect in that area of the hoods. 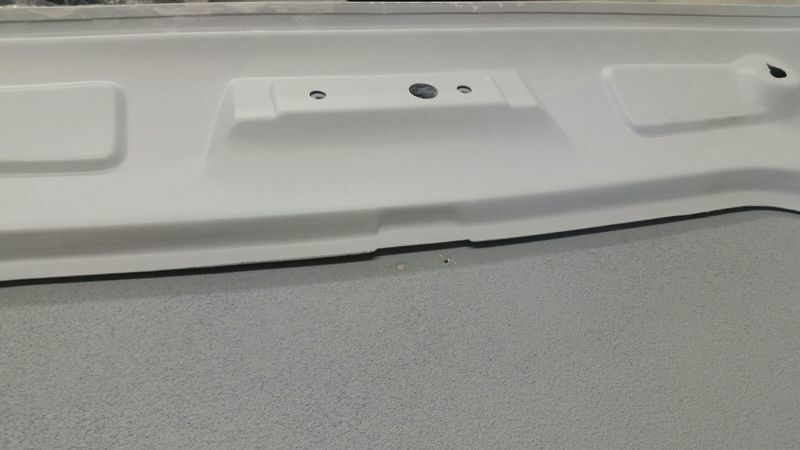 porsche didn't seamseal all the way around the hoods for a reason and seam sealer is used for a few reasons one being to help support a panels skin to it's frame the other is to seal out moisture between two or more butted together panels. being there is a gap between the hoods framing and skin air can get between the two panels and will dry any moisture that may get there. if you seal off the area between the framing and skin you will trap moisture in there. with no way for air to get to it in order for it to dry any moisture from condensation. What material is used as the seam sealer? Is it a Porsche unique compound with p/n? What do you use/recommend? with most all seam sealer you would use for something like this you will want to use a non shrinking type of seam sealer. we use the SEM # 39377 and it had never given us a problem.